Permanent Cosmetics West Lake Hills: Learn More About Microneedling! 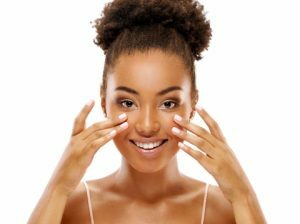 Microneedling is an exceptional way to clear your skin, reduce scarring, and get the glowing complexion you’ve always wanted, but many people are still unfamiliar with it. In today’s post, we’ll provide you with a brief guide to microneedling that can help you determine if this revolutionary service is right for you. If you have additional questions, please don’t hesitate to get in touch with The Perfect Look! As you might expect from the name, microneedling refers to the process of using incredibly fine needles to rejuvenate the skin. Extremely small puncture wounds are created in the layer of skin containing nerve endings, capillaries, and other structures that affect the body’s collagen production. Collagen can heal damaged skin and promote a glowing complexion, but the body’s normal level of production is nothing compared to the amount released following a microneedling procedure. Even though you know what microneedling is, you probably still have a few questions about what you can expect during your appointments. Continue reading below to find out the answers! While it’s difficult to say whether or not microneedling will hurt for you, the procedure is almost always well-tolerated by our patients. You may experience some discomfort that subsides after the treatment ends. Will I need to take time off of work or school? Your skin will be slightly pink with some redness after the procedure ends, so you may want to schedule your appointment around a weekend, or request a day off. Giving yourself ample recovery time is always smart, no matter how major or minor a procedure may be. Additionally, be sure to use sunscreen, as your skin will be even less protected from ultraviolet rays following your appointment. I purchased a microneedling device for at-home use. What’s the difference? Medical microneedling is significantly different from at-home microneedling. While commercially available devices can help to firm your skin, their needles aren’t long enough to produce the same results as a professional microneedling appointment. Some products are available with longer needles, though using them in an unsanitized environment puts you at risk of infection. 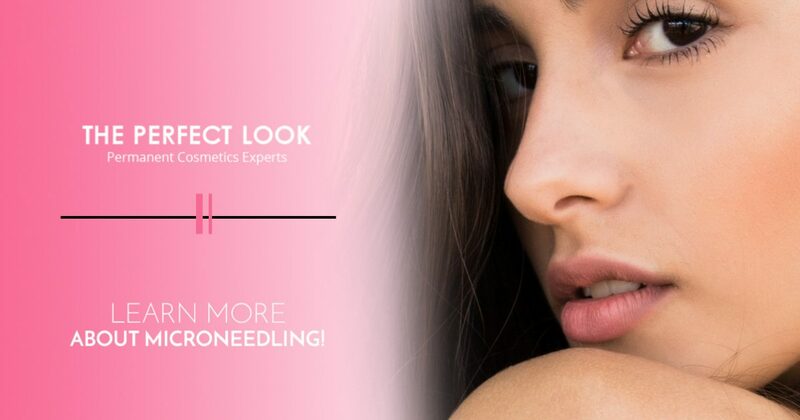 Instead of purchasing an at-home microneedling kit, invest in your beauty by coming to The Perfect Look in Austin. No, though the results of microneedling do last longer than other skin treatments. The rejuvenating effects can last for up to three months, and you can always schedule follow-up appointments to maintain your results. Contact Us for Microneedling in Austin! We hope that today’s entry has helped you to better understand what microneedling is and how it can help you. 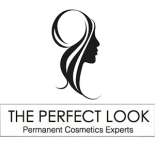 Visit our blog page regularly, as we’ll continue to provide you with more information about permanent makeup, microneedling, and other beauty services in the coming weeks and months. Are you ready to schedule an appointment with The Perfect Look? Fill out the form below to get started!